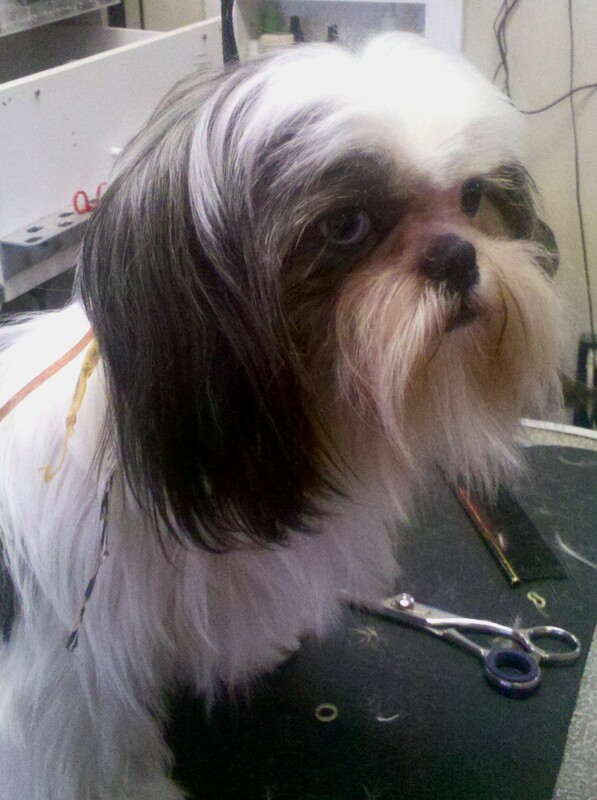 Longhairs and shorthairs, big dogs or small, D’Tails Grooming can handle all the grooming needs for your furry friends. Our expert groomers have years of experience with shaping, styling, snipping, spiffing and shaving a wide range of canines, keeping them looking sharp and fresh. Regular grooming helps prevent issues with matted or dirty coats, and helps your pet stay looking, smelling, and feeling good. Whether your dog is in need of a complete grooming overhaul, or just a bath, brush out, and nail trim, our full-service options are perfect for you. Pricing options vary based on the size of the dog and the amount of time involved in the services requested. Take a look below for more information on pricing. For more information on our grooming services, email us at dtailsgrooming@gmail.com or call 706-731-0089. A full grooming on most small dogs runs $58, and all other prices are a spinoff from there. If your dog requires extra time, it will cost a little more. As a rule, a major overhaul takes half again as long to do, and will be priced accordingly. This is just right for in between haircuts, when you just need the head, feet and a sanitary area trimmed. Offered as a full grooming on shorthaired dogs, or between haircuts on our grooming clients. What category is my pet? The following are examples to help better estimate the costs of grooming for your pet. chihuahua, daschund, jack russell, min pin etc. shihtzu, lhasa, poodle, bichon, westie, maltese etc. great preneese, mastiff, great dane etc.